JALALABAD -- Afghan security forces have arrested a group of seven "Islamic State of Iraq and Syria" (ISIS) members who had planned to launch attacks in Nangarhar Province on either Independence Day or during Eid ul Adha, set to begin Tuesday (August 21). Commandos arrested the group during security operations on August 15 in the Qasaba neighbourhood of Jalalabad. They were presented to media the following day. "Among them, a [would-be] suicide bomber, Bashirullah, also known as Ibrahim, 16, was arrested with an explosives-packed vest," Nangarhar Governor Hayatullah Hayat told reporters. The media was not allowed to publish his photo because of his age. "The ISIS group assigned said suicide attacker to detonate his explosives inside a crowd either on August 19 or during Eid ul Adha," Hayat said. "However, they were arrested by the Afghan National Defence and Security Forces (ANDSF) before they reached their target." "Omaid, known as Abdur Rahman, who is a rickshaw driver and was responsible for transporting the suicide attackers, was also found in the house and arrested," he said. "Two others -- Khalil and Hikmatullah -- who were transporting attackers and explosives to the city for the past year were also arrested," said Hayat. Security forces also detained a man named Habibullah and two of his sons -- Arif and Mohammad, known as Abu Abdur Rahman (no relation to Omaid) -- who were harbouring attackers at their home and were active members of the urban network, he said. Hayat praised the men who carried out the operation, adding that ANDSF works hard to destroy terrorist groups and to prevent their destructive activities. 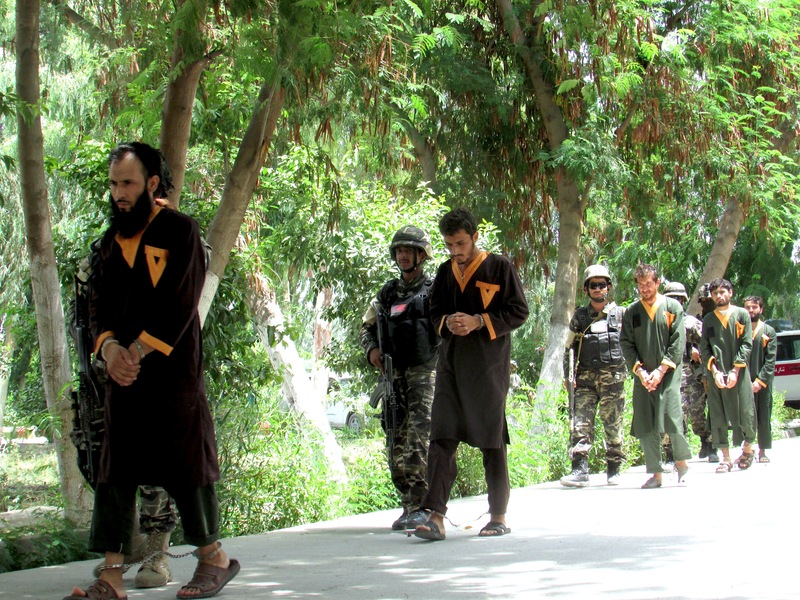 "All seven members of the suicide attacker's network who were arrested have confessed to their crimes during questioning," Maj. Gen. Nazar Ali Wahedi, director of the National Directorate of Security's office in Nangarhar, told reporters. "If these attackers were not arrested, they could have turned both days of joy [Independence Day and Eid ul Adha] to grief in Jalalabad," he said. "Our brave soldiers and officers will never ignore and will never allow [our] enemies to achieve their goals." 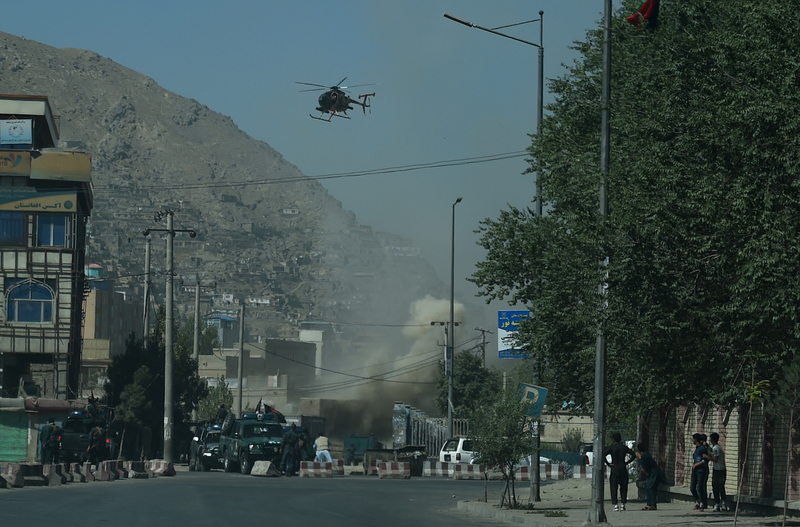 Also on August 15, security forces defused a car bomb in Surkh Rod District that was set to target police and security forces, Ataullah Khogyani, a spokesman for the provincial governor, told Salaam Times. The culprits escaped, but ANSDF is searching for them. In the past week, security forces in Nangarhar have arrested 34 suspects accused of various crimes, said Khogyani. To the honorable news site! The assault came as President Ashraf Ghani was making a speech marking the first day of Eid ul Adha, days after he offered the Taliban a conditional three-month ceasefire. There are indications that various Taliban leaders are inclined to launch peace talks with the government, according to the High Peace Council.